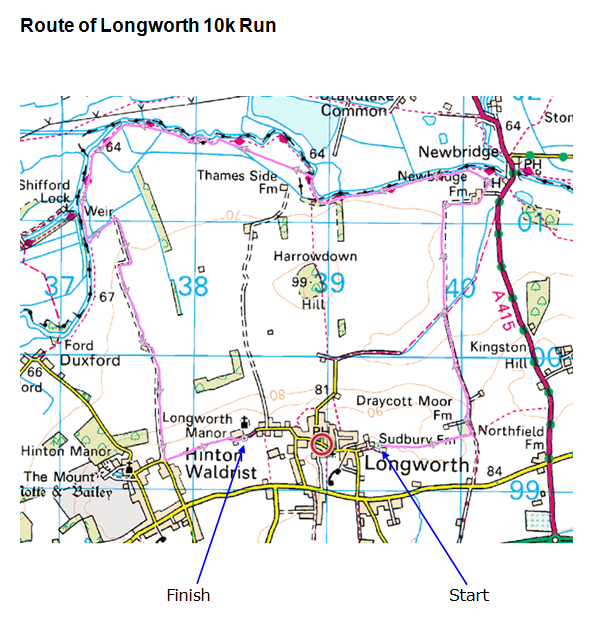 The Longworth 10k Run is an annual event organized by the Longworth Runners to raise money for the Hinton and Longworth Education Fund (HALF). Held every year since 1998, this race is held on a multi-terrain course that starts at the east end of Longworth village, goes north to the river, follows the Thames Path National Trail westwards from new Newbridge to Shifford Lock before climbing back up to Hinton and then following a bridle way to finish in front of Longworth Manor. Hi I entered the Longworth 10K quite some time ago and my cheque has not yet been banked, can you please confirm you have received it. Your run looks great and similar to ours in lots of ways..
Maybe some of your runners might like to try it?